Private 10 acres. Small pond fed by one of two streams on property. 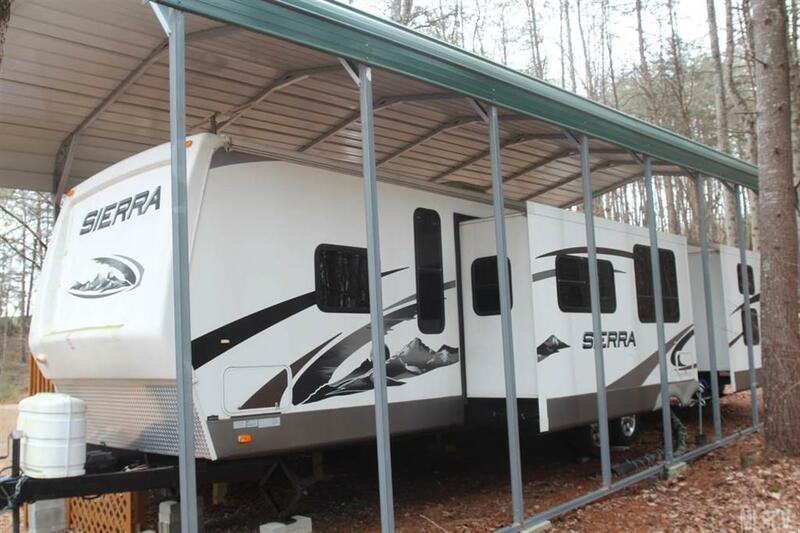 Residence is 2009 Sierra Forest River trailer under carport with 8'x30' deck. Well, 3 bedroom septic system. Agricultural use 24x40 metal building. 2 story tree house has views. Enjoy your very own place in the woods.